We believe that every healthy or treatable animal that enters our shelters can, and should, be saved. Achieving No Kill for the Midlands is not only possible, but has already been achieved in other communities across the nation, including Charleston SC. The widely accepted benchmark for a No Kill community is considered to be 90% live release. This means that all organizations (shelters, animal control, private rescues, SPCAs and/or humane societies) that handle intake and surrenders in that geographic area must collectively sustain a live-release rate of 90% or more of the animals who enter the system. It is important to note, however, that the realistic number may vary from community to community, with no one-size-fits-all metric being universally appropriate. Each community is different, and data must be viewed through a local lens for a fair and accurate understanding. 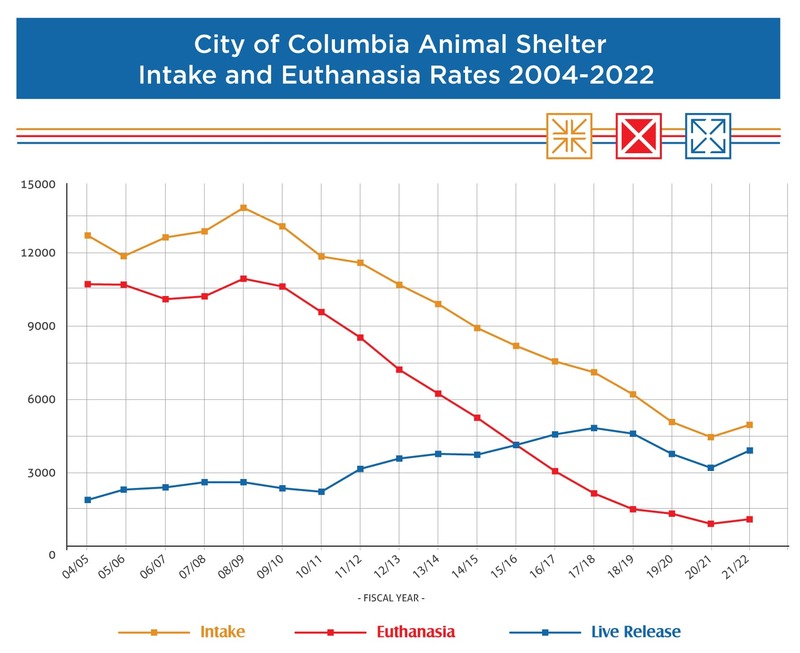 The City of Columbia Animal Shelter is on target to achieve a live release rate of 80% for FY 2018/2019, up from only 21% when we began our spay and neuter program in 2006. Euthanasia due to lack of space or resources has decreased by over 81% in that time. Sterilization is the proven best method of population control for domesticated animals. It is The Animal Mission’s position that every pet should be sterilized, except in cases where it is medically advisable to not perform the surgery, or in the care of responsible breeders. We oppose all forms of Breed Specific Legislation (BSL) regarding sterilization in favor of comprehensive sterilization laws for all domesticated animals. Euthanasia should be reserved solely for humanely ending the suffering of animals in irredeemable medical situations, or whose behavior obstacles make them unsuitable for rehabilitation. With your support, Columbia and the Midlands CAN become a pet-safe, No Kill community by 2020.